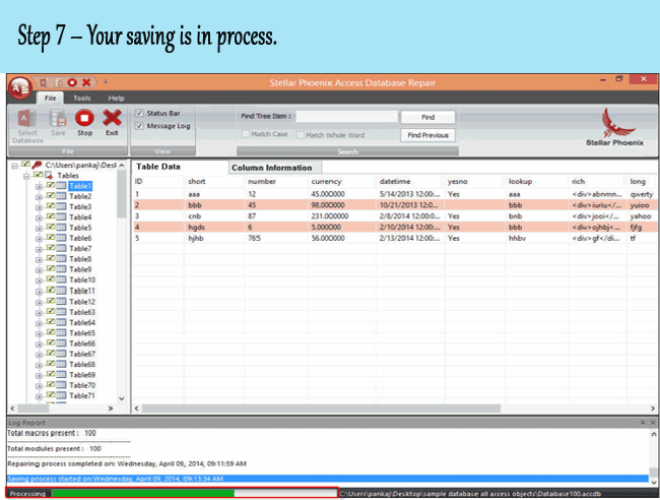 Is your Access Database crossed the limitation of 2 GB file size limit? 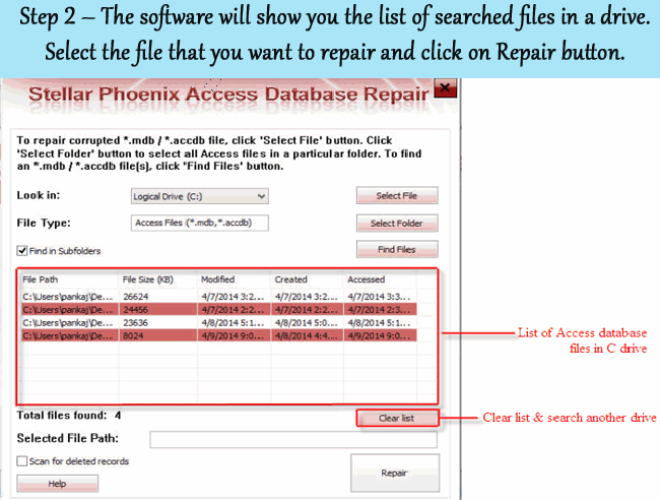 And now you are looking for the fixes to get back your Access Database to manageable size? Well for this you need to scroll down to this post and to get easy fixes to resolve this Access database too large issue. I have an Access database that is storing some images in it. It’s poorly designed. So it grows to over 2GBs, which is the limit to Access databases. I feel like everything I try to do cause the server to stop responding. For example, I have multiple Access backend databases on this server. If I try to copy this oversized database, it will get 95% there then copying freezes. Then the entire server freezes, causing “not responding” messages on the other users. Has anyone had this problem before? What were your solutions to fixing it? So, let’s find out perfect solution to figure out this Access Database file size growing issue. Do you know large Access database files takes up substantial disk space and often creates problems while managing the database tables? Perhaps dealing with a larged sized access database is not lesser than solving a difficult riddle or a brain teaser. When such over-sized .mdb file size issue occurs then its quiet obvious to face number of problems that may indicate some sort of corruption in the file. 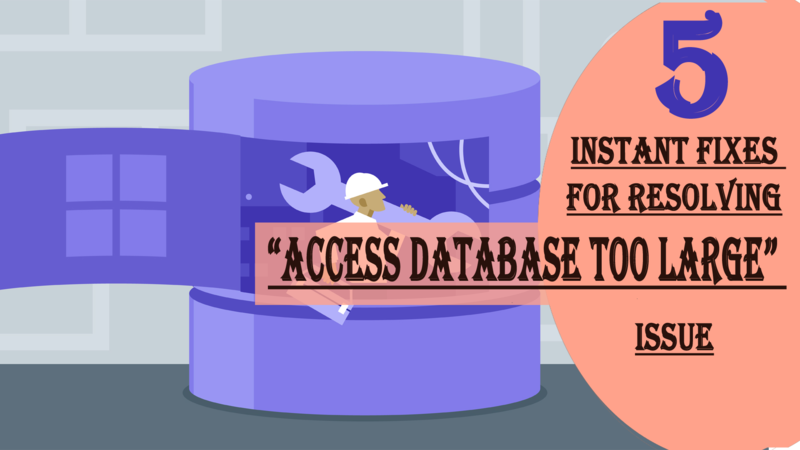 For this you need to trim the over-sized MDB/ACCDB databases and even helps in recovering inaccessible Access databases using Compact and Repair database option of MS Access. You get both the manual and automatic options of Access database compact with the Microsoft Access. You may even create a desktop shortcut for MS Access Application and recover your corrupt or over-sized Access database from desktop. Go to ‘Tools’ and select ‘Database Utilities’. From there click ‘Compact and Repair database’. You will see the “Database to compact from” dialog box. Choose the database you want to compact. Assign a name for the newly created compacted database in the “Compact Database Info” dialog box. A wisest option is to split your large sized access database. 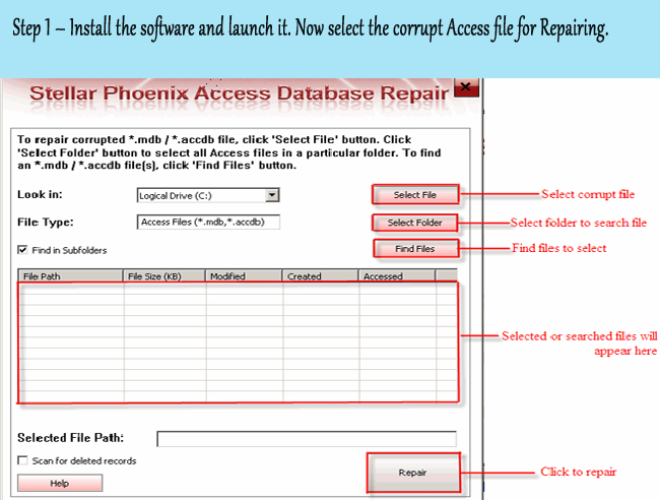 As it you don’t do this then the chances are also that you access database get damaged then the only left option will be to take help of a reliable third party access repair tool to fix corruption and recover all your valuable data. Therefore it is necessary to split your MDB file beforehand in order to avoid the risk of database corruption. Access database usually gets split into two files, i.e back-end file and front-end file. The back-end file keeps the data table and the front end file consists of objects such as queries, modules, forms, reports, etc. When the splitting process gets over, users use the local copies of the front end objects. Start MS Access and open up your large-sized access database. 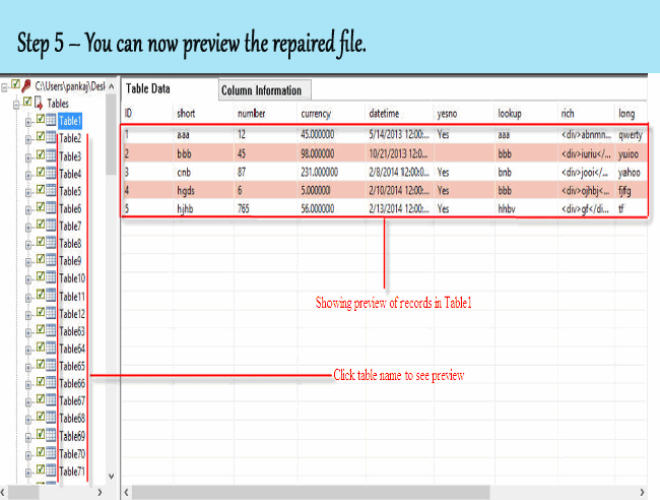 Go to ‘Tools’ here click ‘Database Utilities’ and then ‘Database Splitter’. The ‘Database Splitter’ dialog box will appear. Click to the ‘split database’ option. Now you need to specify a name for the split access file. At that click ‘Split’ and then ‘OK’. If you have not created the database backups of your Access files and have landed with severe issue then it is almost impossible to recover data with MS Access with its inbuilt options. 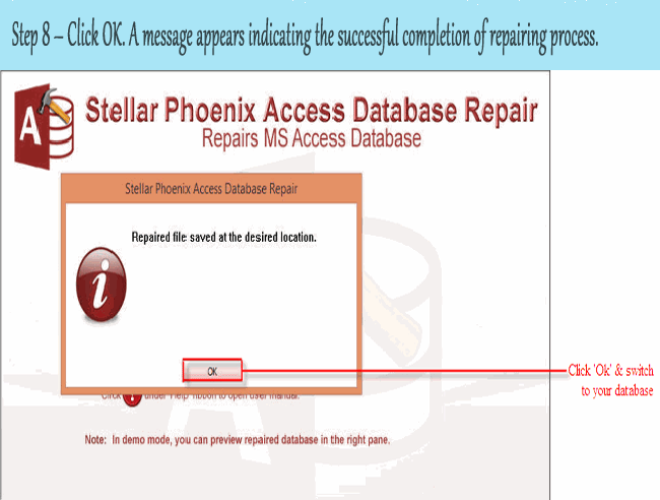 In such a case you need to make use of the third party MS Access Repair & Recovery to retrieve your vital information. 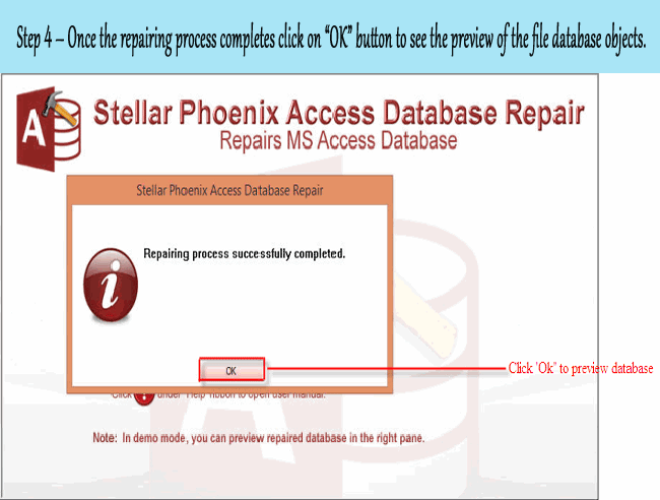 MS Access Repair & Recovery efficiently recovers all your data from corrupt MDB/ACCDB files which are generated from any of the MS Access versions. It helps in retrieving all the data such as triggers, macros, date format, foreign keys, unique keys, indexes, fields and others from the inaccessible Access table. It can even save all the recovered items in the new Access database file. It is very hard task to manage large Access databases on a network. 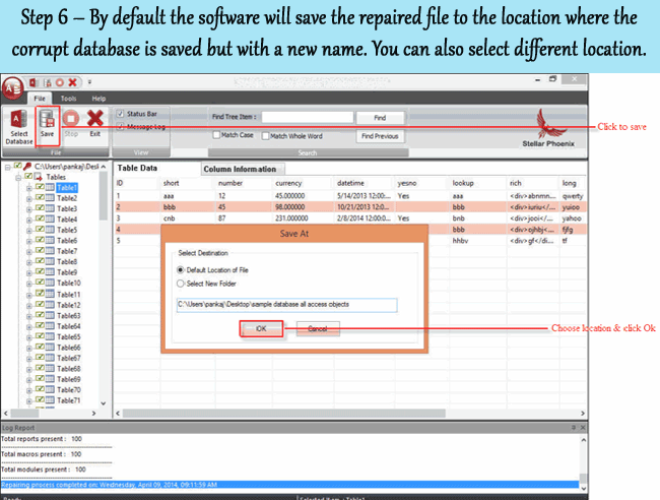 MS Access includes “Compact and Repair database” tool which helps you in trimming the Access databases and also helps you in recovering the objects from inaccessible MDB or ACCDB file. 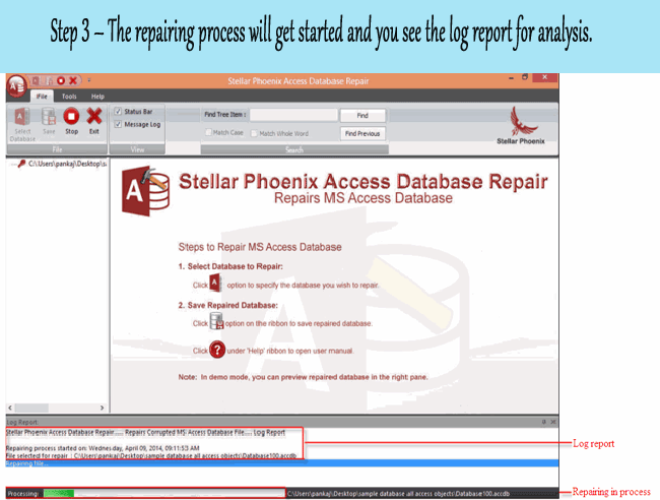 However, in such as situation MS Access Recovery tool cannot recover macros, forms, visual basic scripts and modules and therefore you must recover Access database by using third party MDB recovery software. ← 4 Quick Fixes To Resolve MS Access Database Corruption Issue…!